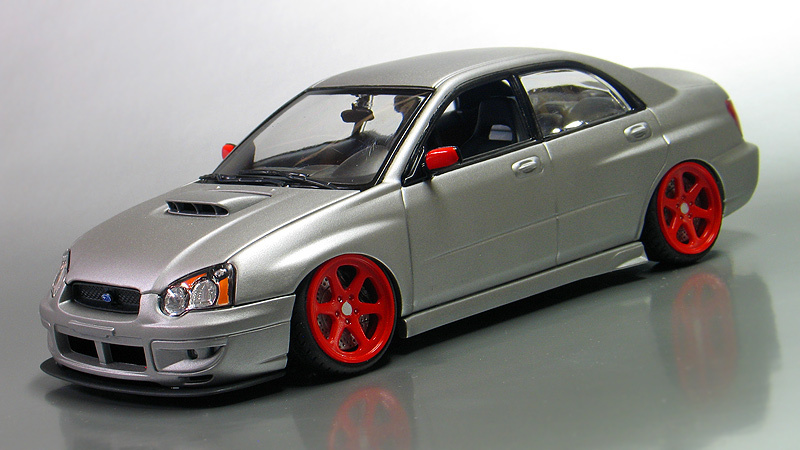 I'm a lifelong muscle car fan, but I'm a fan of the import scene too. 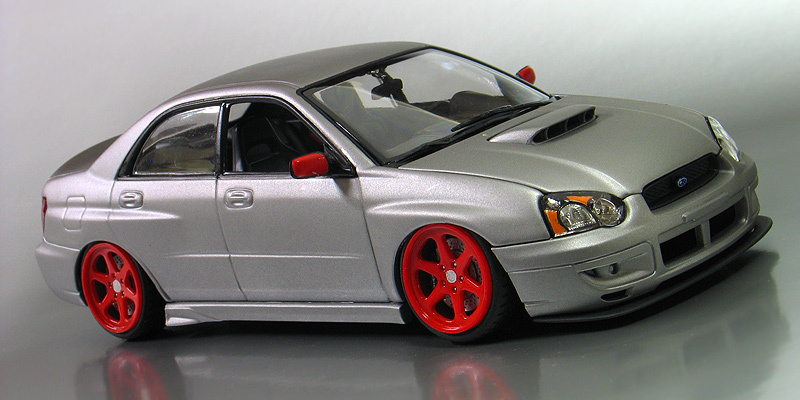 I hadn't built an import in a while so I dug out a Revell 2004 Subaru WRX STI kit from my stash and threw this one together. It's mostly built out of the box but I did make a few modifications. First, I dumped the big stock rear wing and added an M3 CSL style spoiler to the trunk lid made from Bondo for a more subtle look. I also made a front splitter that I cut from sheet styrene. 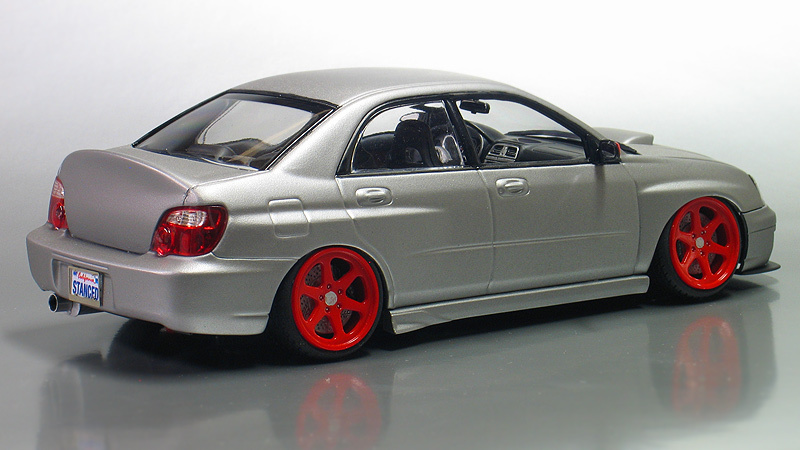 I used the side skirts supplied in the kit. For paint, I went with a matte silver finish on the body which I achieved using Testors Model Master Metallizer Magnesium paint shot from the can. 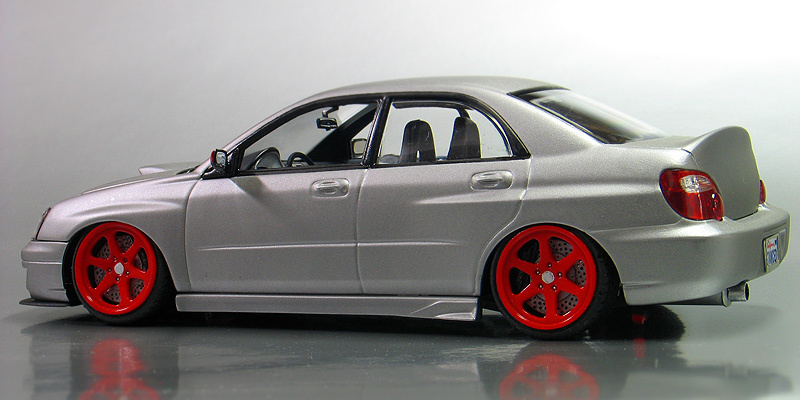 Of course it's all about the stance, so I swapped out the kit wheels for a set of 18" 6-spoke Weds from Aoshima. They were originally plated in a satin chrome finish. I stripped them and painted them gloss red along with the side mirrors. 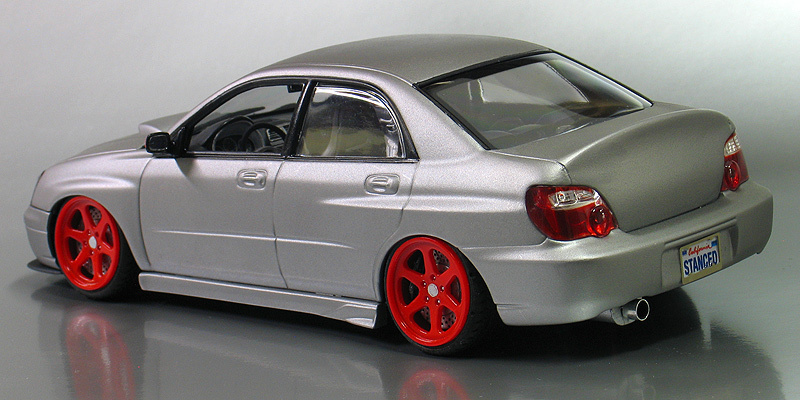 I wanted my Subie to have the stretched tire look too, so I dug through my parts box and used a lower profile set of tires from Pegasus Hobbies. 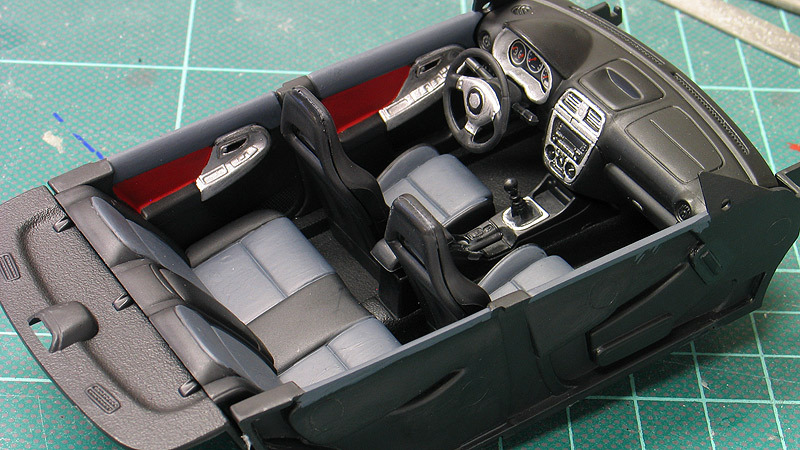 I also turned them on a lathe to round over the edges and add some camber wear to the inside. The brakes are my own resin cast pieces made from a mold I took from a Tamiya rally car kit. 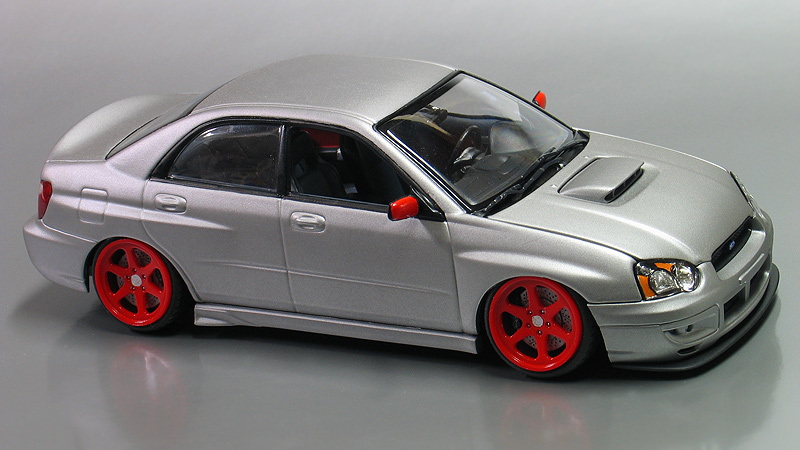 The suspension was also heavily modified so I could get the WRX to sit flush with lots of negative camber. The Pro-Tech (PITMC15) license plate frames are from Pro-Tech. These are really nice parts and very easy to work with. I painted them black and made my own custom plates as the final touch. Click here to check out Pro-Tech's web site.